SERVICE CAMPAIGN :: Bridgestone Firestone truck tire manufacturer needed to position their Nationwide Roadside Assistance Program as the best in the country. Ncutt designed the attention getting ads that have appeared the back cover of the Rand McNally Road Atlas since the campaign began seven years ago. 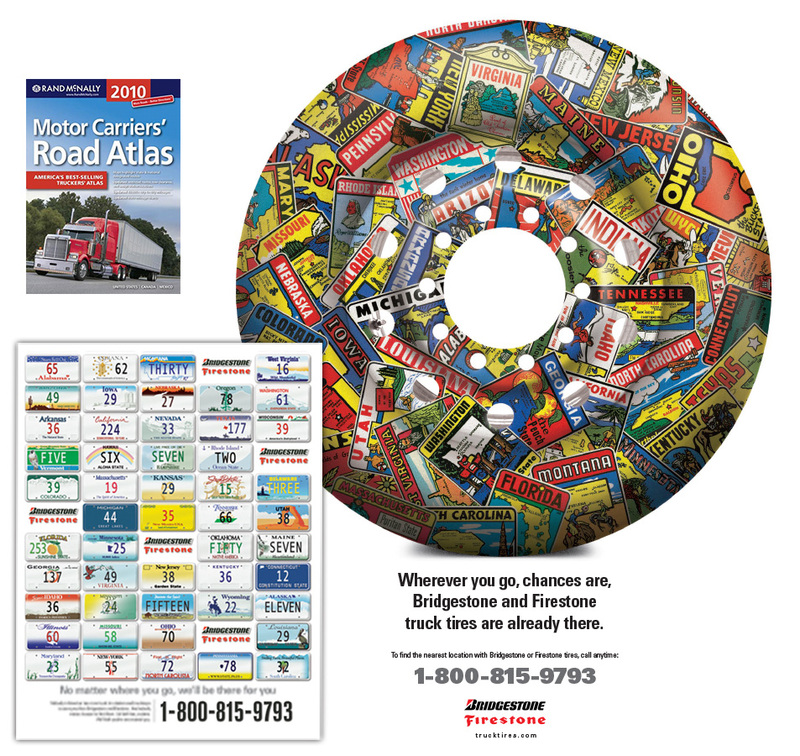 The Atlas is sold in every truckstop in the nation, putting the Roadside Assistance Program on every truck driver’s radar. The ad assures that the Bridgestone’s Program is the best with service that is widely available at a fair price. creative value: Investing in creative services can set you above your competitors.